This page is all about "Field Day." So now you have this power thing figured out, why do we even have this contest? Well, in the case of a TRUE EMERGANCY, commercial power most of the time is not available. 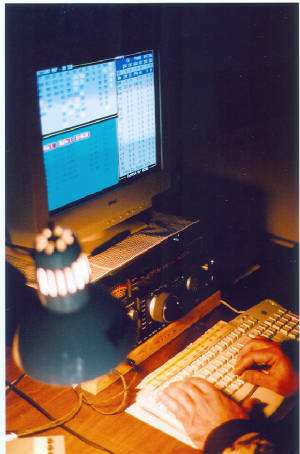 The purpose is to test your emergancy ability to run your station, and get out on the air. 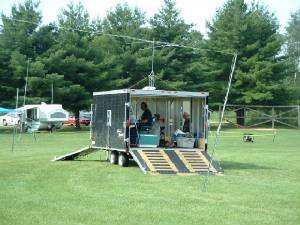 Most people run a portable station away from home for Field Day. 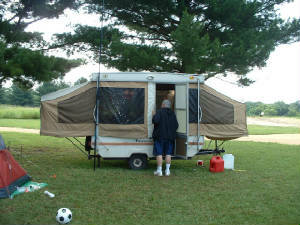 A common setup includes a power source for the radio, a antenna system, a transciever, a way to modulate your radio (i.e. microphone, or morse code key), and a means for logging your contacts. Okay, so we understand why, and I have the ability; why the contest? The main reasons is to varify your station works as planned, and to practice information exchange. In a real emegancy, we would need to be proficiant at sending, and receiving very important information. To do this well, we need to practice. So why is it so popular? 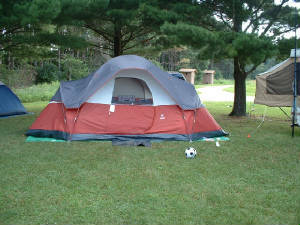 Most people go camping to do this, and often times Bar-B-Que. 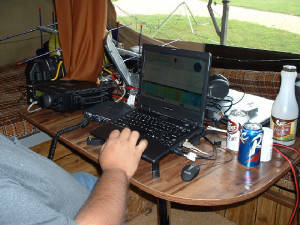 So we combine Competative Ham Radio, with Camping, and Bar-B-Queing. Add fishing, and I'd be in Hog Heavan ( Pun Intended). The reason it is for 24 hours is, this is the time when power is usaully restored to at least some areas of a community. 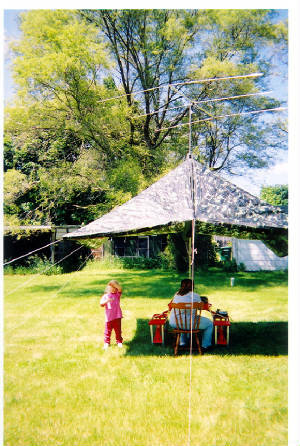 Some use a tent for Field Day. While others like to use a trailer. 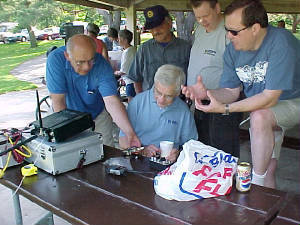 This was a PSK31 station used for Field Day. 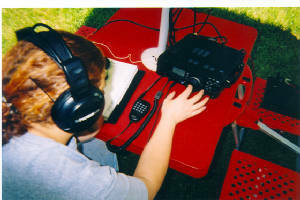 Here was a station set up for Morse Code. As you can see, there is no one way to set up a station. Here is a simple station, with one of the ladies operating it. This is the same station, from a ways back. Very practical. 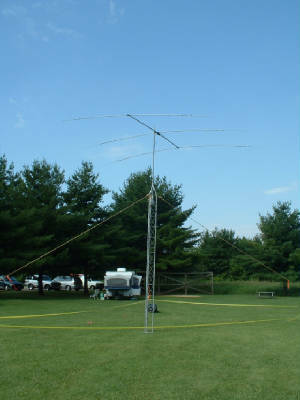 Here is a large HF Antenna, on a temporarytower. 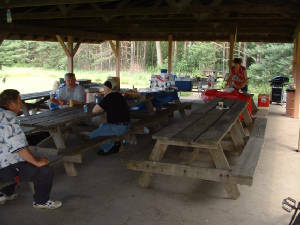 Often, a shelter is used to feed all of the hungy Ham Radio Operators. This is a great time for fellowship.